The air door actuator controls the flow and temperature of air into the interior of the vehicle. This part commonly fails on Chevy Silverado and Chevy Tahoe models and results in inconsistent or incorrect AC temperatures inside the vehicle. It can also air to be directed to the incorrect location such as the vents by your feet rather than the vents on the dash. This blend door or air door actuator features a redesigned housing to insure it lasts longer than the factory blend door on your Chevy. The blend door actuator also features a more rugged internal circuit board which resists heat, corrosion, and vibration. LIFETIME WARRANTY – This air door actuator comes complete with a lifetime warranty. If the part ever fails simply contact us for a replacement. 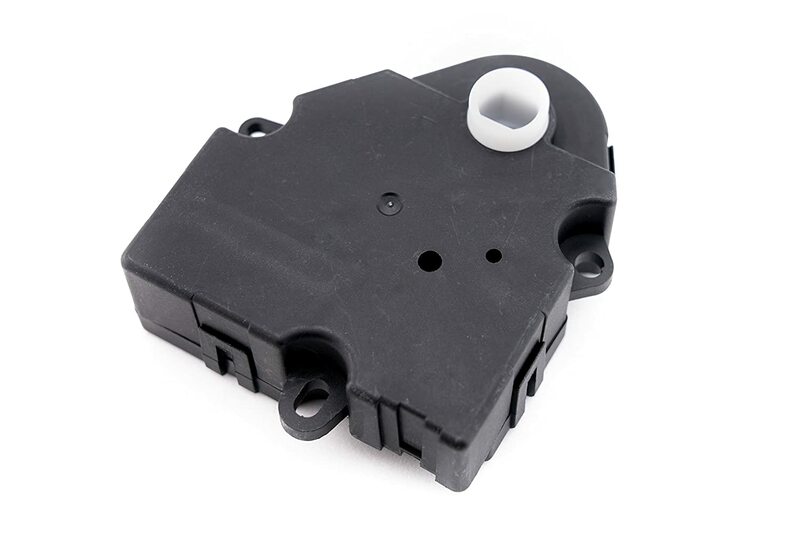 The Air Door Actuator controls the flow and temperature of air in your vehicle’s AC system. This part commonly fails on Chevrolet, Chevy, GMC, Cadillac, or Hummer models leading incorrect air flow or temperatures inside your vehicle. The blend door actuator is easy to replace on your Chevy Silverado, Chevy Tahoe, GMC, Cadillac, or Hummer. Sometimes called the air heater blend door, this part is an essential part of your Chevy’s air conditioner system. This is not a genuine GM part, the terms Chevrolet, Chevy, GMC, Cadillac, Hummer and their associated models is used only to identify which vehicles this part fits.